Parsnips are probably my favorite winter root veggies. It looks like a chubby white carrot but tastes nutty, sweet, and reminiscent of nutmeg and cinnamon. The flavors intensify as the parsnips caramelize in the oven and get even sweeter. 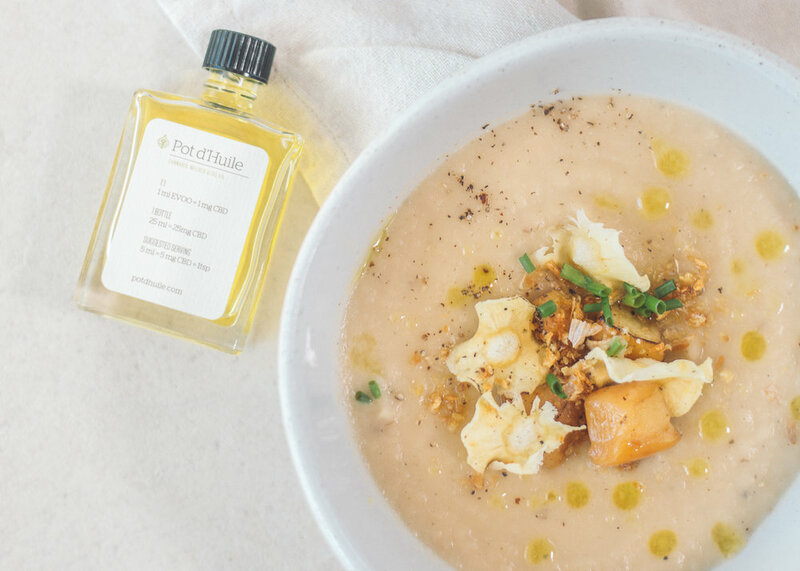 Roast them with chopped apples and other aromatics before blending into a hearty soup with CBD Pot d’Huile. Pure bliss in every spoonful!